See the whales swimming and breaching off the coast of Sri Lanka on this private day trip from Colombo. With a private guide dedicated to you and your party, you'll enjoy personalized attention during the tour and round-trip private transportation from Colombo to Mirissa. 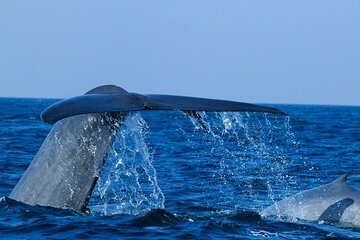 Head out on a boat into the Indian Ocean to see and learn about fin whales, sperm whales, bryde's whales, and blue whales with the benefit of educated, guided commentary.